Bressert: Start the day with dessert for breakfast. Recipes from Distinctive Inns of New England. Breakfast is half our name, and at our bed and breakfasts and inns, you’ll always find a sweet start to the day. The Distinctive Inns of New England (DINE) say bravo to “bressert”, our term for breakfast and dessert combined into one fabulous way to top off a romantic New England getaway. Dessert is the icing on the cake to breakfast at our 12 New England inns. From cakes to crepes, we bring you a collection of some of our sweetest breakfast recipes to try in your own kitchen. We’ve got so many sweet ways to start the day, we’re going to create a series of recipe collections with “bressert” ideas. Or better yet, DINE on these fun recipes with your sweetheart at any of our 12 distinctive inns. Combine liquid and eggs in a blender and gradually add flour. If you don’t have a crepe maker, heat a lightly oiled griddle or frying pan over medium high heat. Pour the batter into the pan to cover. Tilt the pan with a circular motion so that the batter coats the surface evenly and cook for approximately two minutes, until the bottom is light brown. 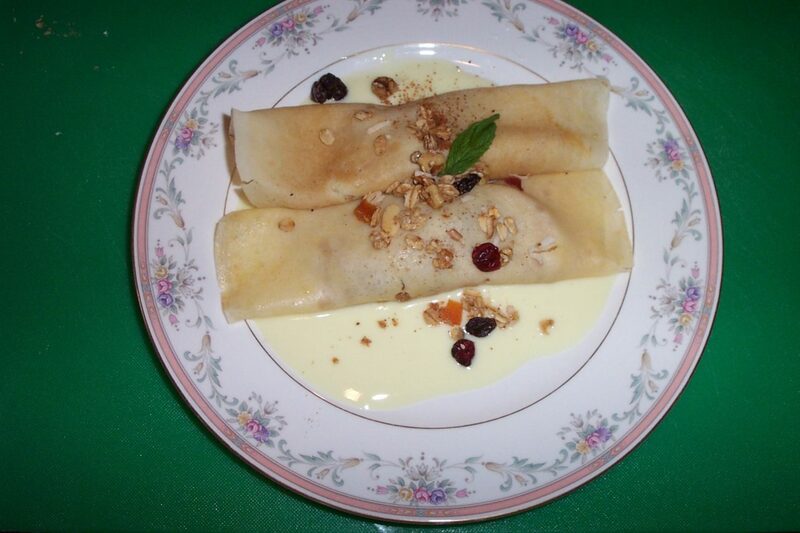 Store crepes between wax paper until ready to serve. Fill crepes with fresh, seasonal fruit. Our favorite fillings are fresh peaches, poached pears, berry medley, and tropical fruit such as mango and papaya. Spoon filling into crepes and carefully roll. 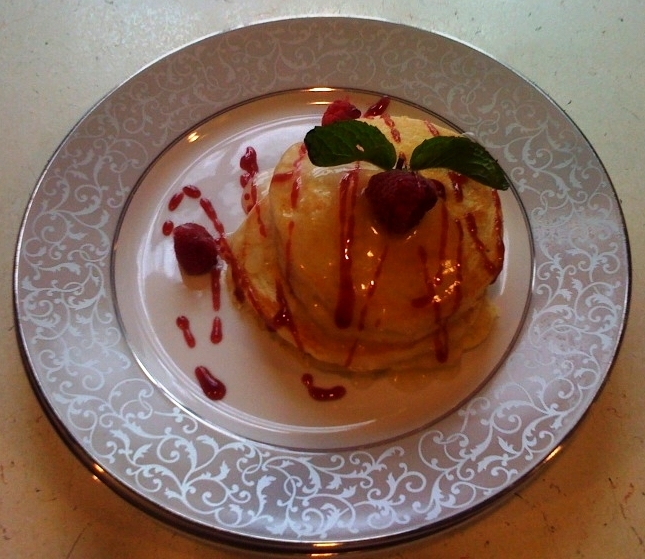 Ladle vanilla yogurt onto a plate and top with crepes. Garnish with granola and honey. 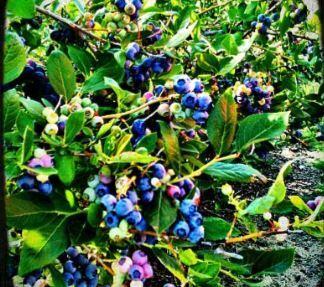 It’s blueberry season in Maine and the sweet, wild blueberries found in abundance at this time of year make this breakfast bake even sweeter! Grease 13 x 9-inch pan. Put half of cubed squares in pan. Sprinkle blueberries liberally. Add remaining croissant pieces. Set aside. In a large bowl, combine milk product; eggs; sugar; vanilla; and cinnamon. Mix well, and carefully pour cream mixture over bread in baking dish. With the back of a spoon, press bread mixture down so all is moistened. 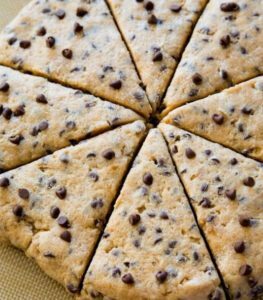 Bake in a 325-degree oven for 65 to 70 minutes or until a knife inserted in center comes out clean and mixture is puffed and golden. Sprinkle with powdered sugar and serve with Maine Blueberry Syrup or your favorite topping. Who doesn’t love chocolate for breakfast? Preheat oven to 375 ° degrees. Grease a baking sheet or use parchment paper. Cut the butter into small pieces and blend into the flour mixture with a pastry blender. The mixture should look like coarse crumbs. In a small bowl combine the whipping cream, beaten egg and vanilla. Add this mixture to the flour mixture along with the chocolate chips. Blend with a fork until just combined. Do not overmix. Roll or pat the dough in a circle 7” round and 1 ½” thick. Cut this circle into 8 triangular sections. Place the scones on a parchment paper lined baking sheet, one inch apart. Make a mixture of one well-beaten egg with 1 tablespoon heavy cream. Brush the scones with this mixture and prick the tops with a fork. Serve with crème fraiche and raspberry jam. Clotted cream is great if you can find it! Toast the pecans for about 10 minutes in oven at 350 degrees, and cool. Using electric stand mixer fitted with a paddle, beat sugar and butter together until light and fluffy. Mix in the sour cream, the liquor, vanilla and orange zest. Separately sift together the dry ingredients: the flour, cake flour, and salt. Add dry ingredients to wet, with mixer on low. Mix until all the dry ingredients are just blended into the wet. Now mix by hand and fold in the cranberries and pecans. Do not over beat. Pour into bunt or tube pan that has been buttered and dusted with flour. Let cool in pan for 10- 15 minutes and then remove from pan, and cool completely. Dust with powdered sugar or icing, for serving. 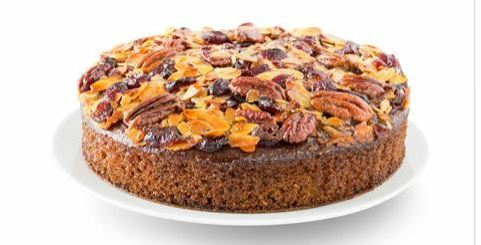 Stay tuned for more sweet recipes in next week’s blog. Better yet, leave the baking and clean up to DINE, and plan your next romantic getaway at the 12 Distinctive Inns of New England by clicking on links below that will take you directly to each of their websites. Then, start your day with sweets along with your sweetheart. 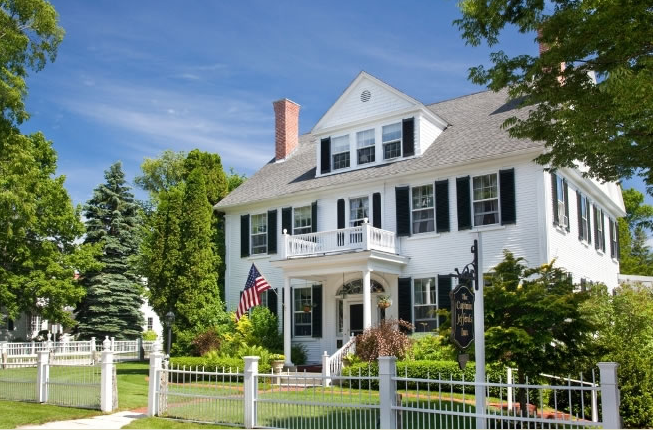 This entry was posted in advice, Camden Maine Stay, Captain's House Inn, Deerfield Inn, Distinctive Inns of New England, Gateway's Inn, Recipe and tagged B&B breakfast recipes, B&B sweet breakfast recipes from New England, breakfast cakes, breakfast recipes from New England innkeepers, Camden Maine Stay breakfast recipe, Captain's House Inn breakfast recipe, Deerfield Inn breakfast recipe, dessert for breakfast, dessert for breakfast recipes from innkeepers, DINE breakfast recipes, Gateways Inn breakfast recipe, inn recipes for breakfast, innkeepers breakfast recipes, summer breakfast recipes, sweet breakfast recipes, sweet breakfast recipes from New England innkeepers, sweet recipes for breakfast, sweet recipes to start the day by DINE Blogger. Bookmark the permalink.